How much of the world price of export crops trickles down to small farmers, who sell through agribusinesses and traders with market power? Starting in about the 1980s, many developing countries reduced trade barriers to integrate with world markets. Trade reforms in developing countries were expected to generate economic growth, raise living standards, and mitigate poverty. A number of studies have subsequently examined how various policy changes, like import tariff cuts or exchange rate devaluations, affected firm growth (Topalova and Khandelwal forthcoming), consumer prices (Aitken and Donaldson 2015) and wages (McCaig and Pavcnik 2014). 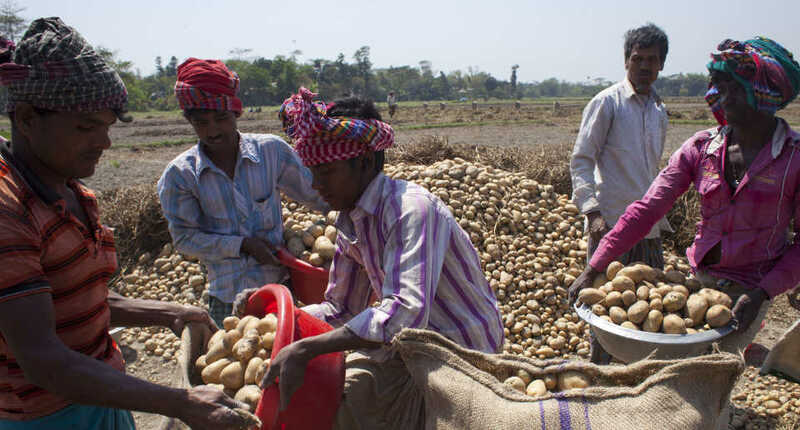 Data constraints, however, put limits on addressing a fundamental question – how much of the gains from integration with world markets have trickled down to small farmers, who make up the overwhelming majority of income earners in developing economies? 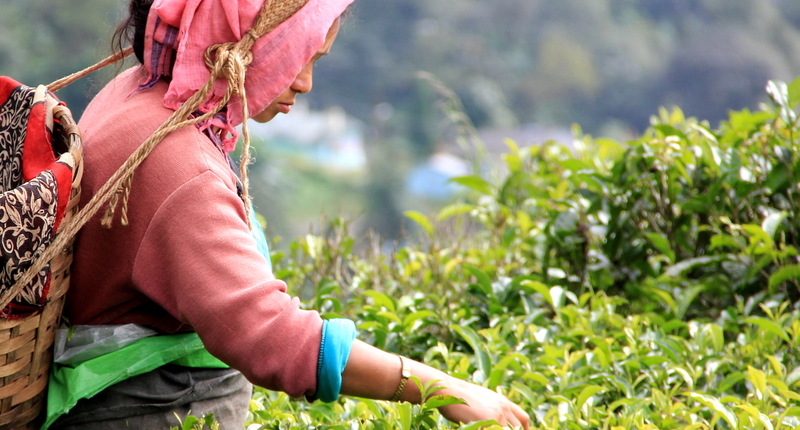 Agriculture continues to be the biggest employer and export sector in low-income countries, and farmers are still among the poorest people there. Access to world markets gives farmers the opportunity to get higher prices for their produce, but most farmers don't have the ability to access world markets directly, for reasons such as information frictions (Allen 2014) and credit constraints (Ashraf et al. 2009). While technology (Jensen 2007) and policy (Tomar 2016) have eased some of these constraints, farmers – like small exporting firms – are dependent on intermediaries to access world markets. The vast majority of farmers sell through small traders or they piggyback on agribusinesses to sell their produce further. 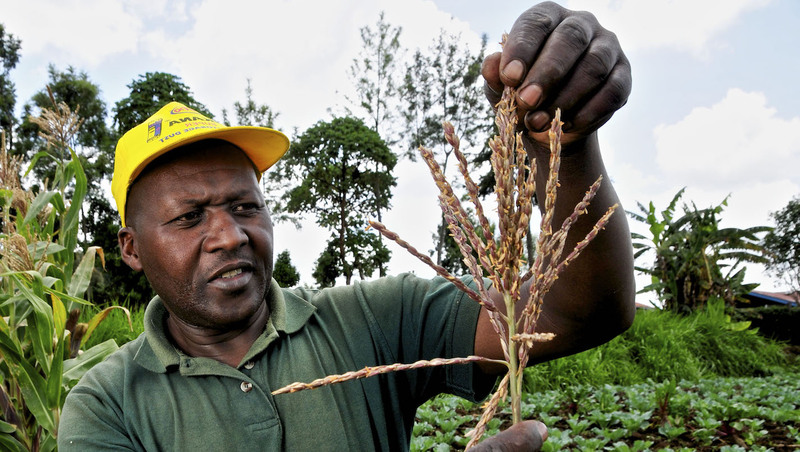 Since market reforms in many developing and transition countries, the share of agribusinesses in farm purchases has been growing and policymakers in Africa are currently debating and implementing policies to ease operation of agribusinesses. For example, Malawi promised to set aside 200,000 hectares of prime land for commercial investors by 2015, and in Ghana, 10,000 hectares will be made available for investment by the end of next year. Opening to agribusinesses is seen as an effective way of giving farmers better access to world markets and raising their agricultural productivity (Benin et al. 2016) through the technical knowhow that agribusinesses bring to farming. Case studies confirm that agribusinesses often provide farmers with technical support, such as information to comply with food safety standards of export destinations, high yielding inputs, or collateral for credit. But there is concern that big agribusinesses have a lot more bargaining power in their relationship with small farmers, so they are likely to pass on less of the gains from integration to farmers. Case studies confirm this view – as government agricultural boards and farmer cooperatives have declined, farmers are negotiating one on one with their buyers and this has left them exposed to a lack of options outside of the agribusiness relationship. In our new work, we document these stylised facts and use a high quality survey of small Kenyan farmers that follows them over time, to determine the extent to which farmers benefit from access to world markets in the presence of agribusinesses (Dhingra and Tenreyro 2017). Kenya typifies the debate over how much of the higher prices received in world markets trickle down to farmers. It is a lower-middle-income country in sub-Saharan Africa, where agriculture makes up 25% of GDP, 65% of exports and 75% of employment. The median farmer in Kenya has just two acres of land and a monthly income of $20. About 85% of Kenyan farmers sell their produce indirectly, and on average, a 1% rise in world price translates into a 0.12–0.36% increase in their incomes. Farmers who sell through agribusinesses are systematically larger in terms of land acreage owned and incomes, compared to farmers who sell through other buyer types – small traders, cooperatives, or directly to consumers. On average, farmers selling through agribusinesses earn 2.4 times higher income than farmers selling through small traders. These differences are even larger when looking within the same household (as it switches buyer types) and within the same income deciles. Farmers selling to agribusinesses are relatively richer, but as world prices change, these farmers see a lower trickledown of prices to incomes. On average, when the world price changes by 1%, farmers selling through agribusinesses see a 30% lower trickledown than farmers who sell through small traders. This reduced form estimate can be interpreted as the average trickledown effect of a change in world price when farmers can choose their buyer type. A lower trickledown could reflect the fact that agribusinesses hedge farmers from the risks of world price fluctuations. But we find that hedging motives don't seem to be driving the lower trickledown. Trickledown rates of agribusinesses are smaller than those of small traders when prices rise. When prices fall, the trickledown rate of agribusinesses is not lower than that of small traders. Moreover, the variances and coefficients of variation of farming incomes and consumption aren't systematically lower for farmers selling through agribusinesses. The first key question then is what is the net contribution of integration in the presence of agribusinesses who provide both higher productivity and lower trickledown to farmers? We infer the productivity gains from agribusinesses as the average difference between the actual earnings of farmers and what farmers would have earned had they received the prices that small traders pay. We estimate that farmers double their farming incomes when they sell through agribusinesses, relative to small traders. Every additional world price increase, however, ends up increasing the incomes of farmers by less. We identify one source of the lower trickledown rate – a rise in farming input costs in response to world price increases. Case study evidence shows that farmers often need to make sunk investments to grow crops that meet the quality standards needed by agribusinesses to get higher prices in export markets. When world prices of export crops rise, farming investment costs also get bid up if there are input supply constraints, congestion of transport and storage facilities, or greater competition for a fixed input such as land. Farmers who have undertaken investments get fewer benefits from the rise in world prices. We provide evidence that as world prices increased, Kenyan farmers had higher input expenditures per acre, and these expenditures rose more in areas where the market share of agribusinesses grew. For example, there was a rise in the regional price of the most widely used fertiliser, diammonium phosphate, which previous studies have shown is in limited supply to farmers due to poor infrastructure facilities in rural areas (e.g. Suri 2011). Higher investments by farmers contributes to their lower trickledown from agribusinesses. If policy could mitigate this effect, farmers would be able to get greater benefits from the productivity gains and world market access that agribusinesses bring. Governments can mitigate this effect by providing a commitment to compensate for the rise in investment costs in the event of a breakdown in the relationship with agribusinesses. This would leave cropping and buyer choices unchanged, but it would raise the bargaining power of farmers by shielding them from future increases in the costs of investments that need to be sunk into the relationship before sales. The commitment would not be costly to the government as the gains from selling high quality produce in export markets would still be large enough for agribusinesses to continue their relationship with farmers. In Kenya in the 2000s, we estimate that such policies would have raised the income gains to six times the actual gains from world price changes received by farmers. Allen, T (2014), “Information frictions in trade,” Econometrica 82(6): 2041–2083. 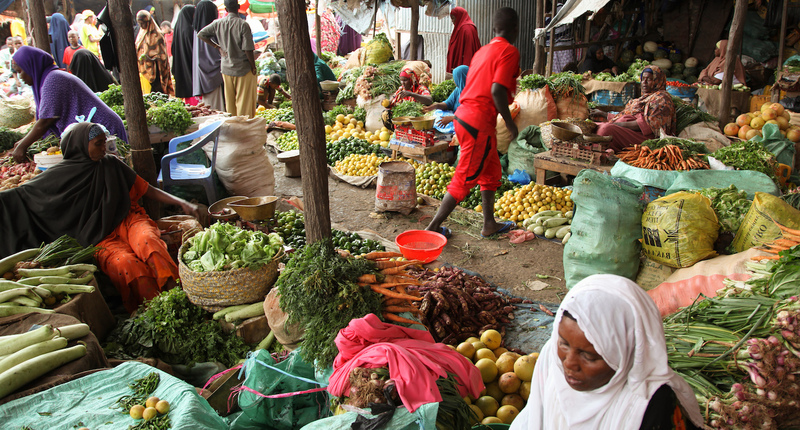 Ashraf, N, X Giné and D Karlan (2009), “Finding missing markets (and a disturbing epilogue): Evidence from an export crop adoption and marketing intervention in Kenya”, American Journal of Agricultural Economics 91(4): 973–990. Atkin, D and D Donaldson (2015), “Who’s getting globalized? The size and nature of intranational trade costs”, MIT, Working Paper. Benin, S, S Wood and A Nin-Pratt (2016), “Introduction”, in Agricultural Productivity in Africa: Trends, Patterns, and Determinants, International Food Policy Research Institute. Dhingra, S and S Tenreyro (2017), “Piggy-back exporting, intermediation, and the distributional gains from trade in agricultural markets”, Working Paper. Jensen, R (2007), “The digital provide: Information (technology), market performance, and welfare in the South Indian fisheries sector”, The Quarterly Journal of Economics 122(3): 879–924. McCaig, B and N Pavcnik (2014), “Export markets and labor allocation in a low-income country”, NBER, Working Paper No. 20455. Suri, T (2011), “Selection and comparative advantage in technology adoption”, Econometrica 79(1): 159–209. Tomar, S (2016), “Gains from agricultural market reform: Role and size of intermediaries”, Working Paper. Topalova, P and A Khandelwal (forthcoming), “Trade liberalization and firm productivity: The case of India”, The Review of Economics and Statistics.